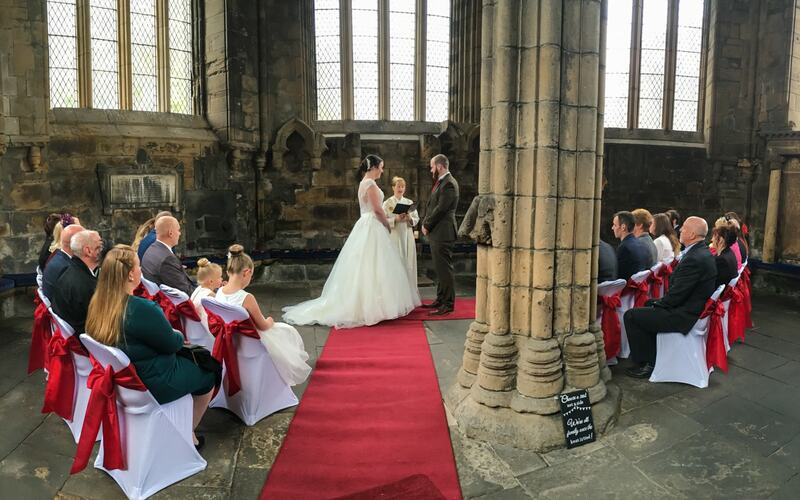 What’s included in a Traditional Wedding Ceremony? 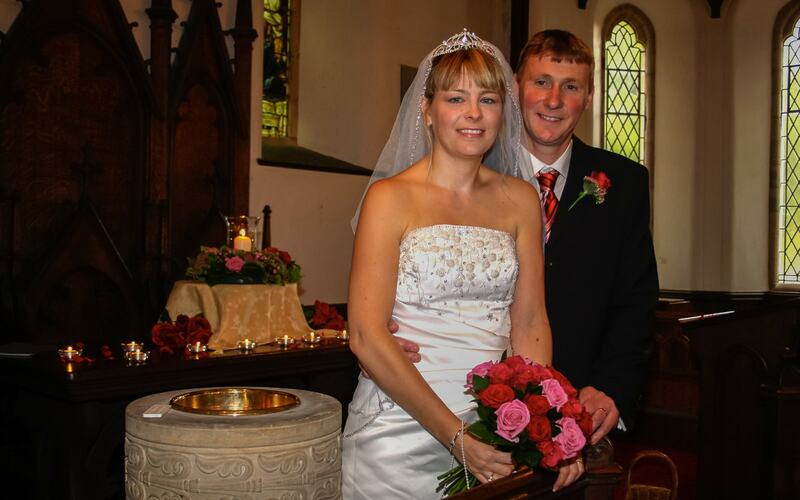 When we are asked to hold a traditional wedding ceremony, this is most often a religious or partly religious Christian ceremony, and the ceremony is usually based on the running order as follows – please note there could also be more readings, blessings and hymns, there could also be ritual and an acknowledgement of your personal story from meeting to marriage. What elements would you want to include for you to feel comfortable with your version of a traditional wedding ceremony? 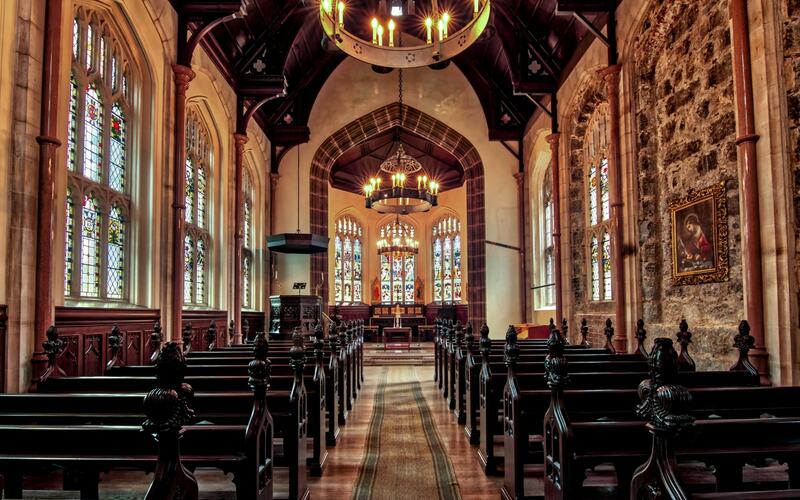 Some couples would really like to get married in the sacred, peaceful setting of a church, but don’t want a traditional church service – this is entirely possible if you marry in a privately owned church. 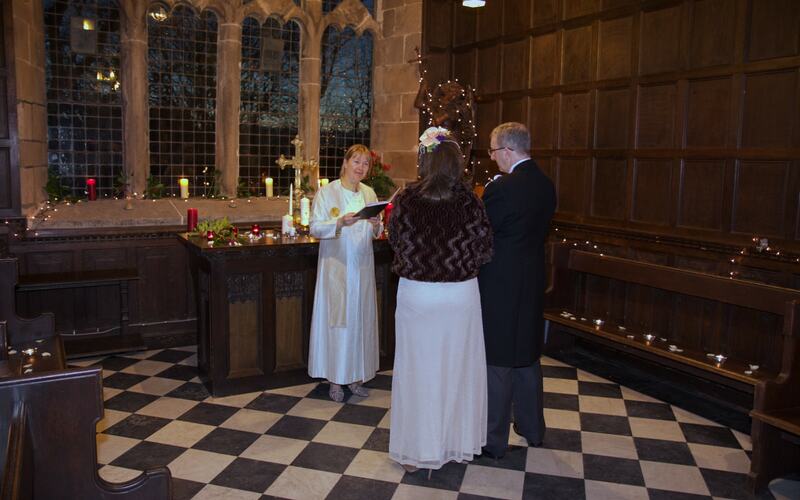 We have held very personal ceremonies in beautiful church settings and the couples have read and approved every word of their ceremony in advance, so they know they’re not being asked to say anything that feels hypocritical. 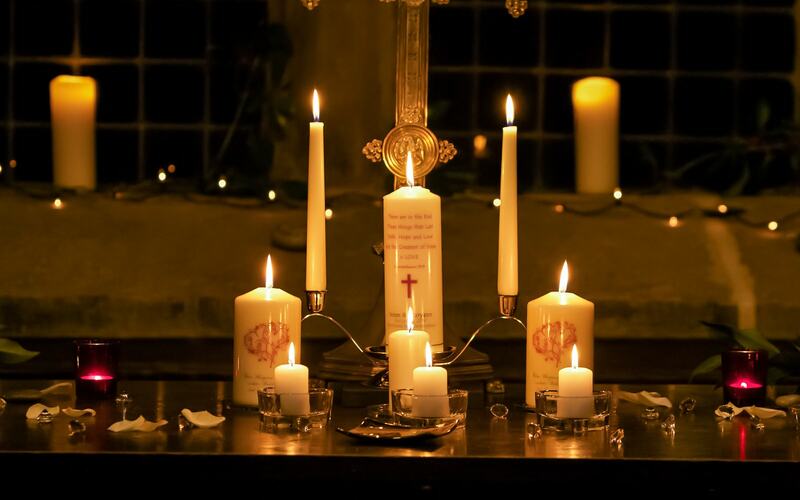 Churches, stately homes and castles provide the most traditional setting. 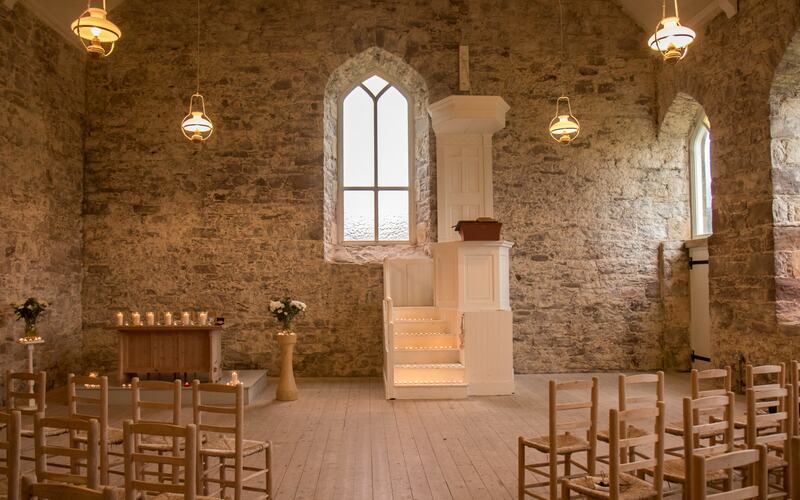 Often your guests are seated in a format we might call, town hall style, with a central aisle. There is usually plenty of room for a good number of guests, but equally you might be a tiny group who just prefer a more formal setting and atmosphere and plenty of space. 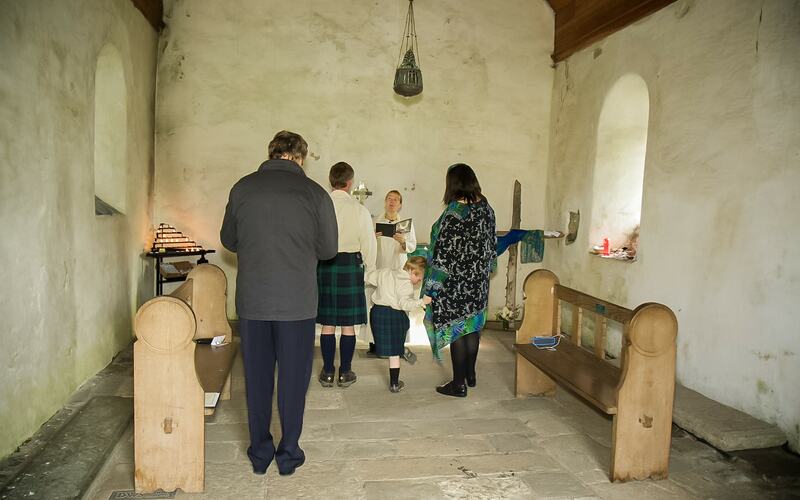 Whilst we would be happy to hold a ceremony for you in any house of worship, for a church ceremony this has to be with the permission of the church leaders, unless you choose to marry in one of the privately owned churches we already have permission to work in – for example, Haddo House Chapel, Cluny Castle Chapel, Advie Church. There are also other smaller churches we can tell you about. Sometimes couples ask for a traditional ceremony because they want to keep their families happy, even though they don’t follow a particular religious path themselves, and sometimes couples have strong personal faith but attend different churches, so choose to get married somewhere neutral, but still keep their ceremony very traditional and along the lines of what they would expect from a church service. If you find you are being coerced into having a traditional ceremony and feeling under pressure to do things a certain way, or to include things that don’t resonate for you, we can work with you to explore how to keep grandparents, parents and future in-laws happy, without feeling as if all your wishes have been disregarded, and without them feeling excluded. Sometimes the people who love us the most feel fearful of something that is outside of their current experience – especially if they’re not in charge – it can be a big thing for parents seeing their children all grown up and making their own decisions, so we can be sensitive and re-assuring as needed. You’re free to include those aspects of tradition that speak to your love and your hearts, and weave them together with anything that feels more personal and representative of you.